Create Your Own Favorite Stationery! Choose your favorite pattern from those shown, for the lined envelopes, labels and seals. 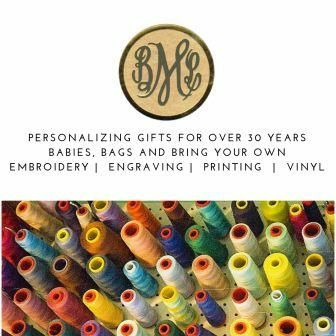 You get 25 white cards with your choice of either a plain color or print pattern lined envelope that has your personalization printed in a matching ink color. 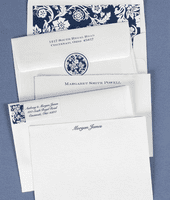 The price shown is for the 25 cards, 25 UNPRINTED lined envelopes and INCREASES $18.00 for the PRINTED lined envelopes. The price also increase when you add labels or seals to match. The paper is available in white only. Return address on envelope has only 2nd and 3rd line. Personalization on cards is 1 line up to 36 characters including spaces and on labels is for 3 lines with up to 26 spaces including spaces. Raised ink on cards, matte ink on labels.